Pocahontas is Disney's 33rd animated feature film and the first film based on a real historical figure, even if this tale from 1607 is greatly modified as a Disney Romance. 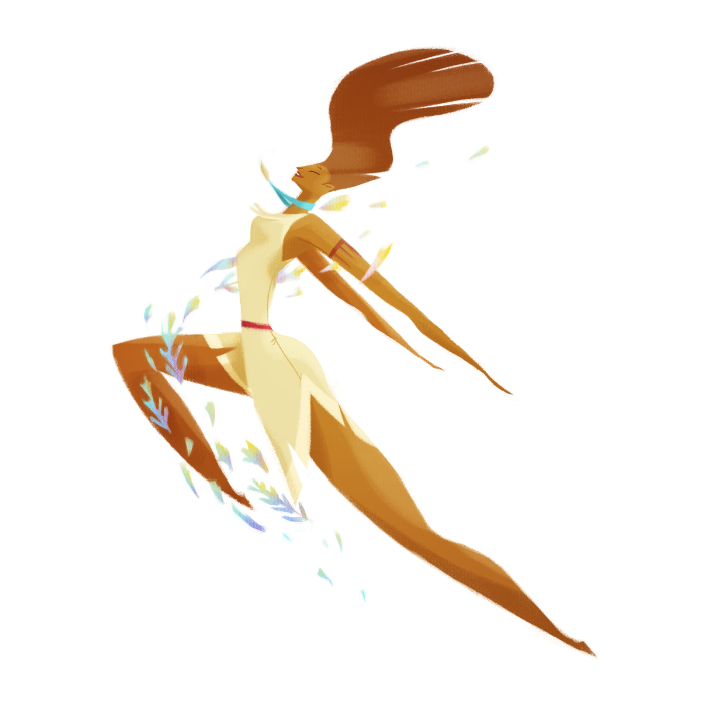 The film started production a little after Lion King, as Disney's project of releasing one animated feature per year. While working on these two movies, a lot of people at Disney preferred working on what was referred as the A team, meaning Pocahontas, instead of working on Lion King which not many people thought would be a hit. As a result, we've got all the big names working on this movie, and that means amazing characters and animation, great music and a brilliant cast of voices (even though it wouldn't top the Lion King). 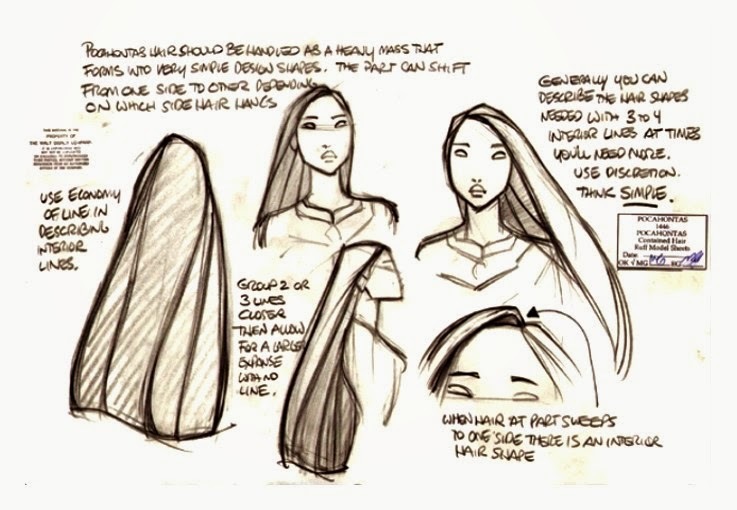 I've talked a lot about the genius of Glen Keane and Ruben Aquino, two amazing animators that worked on Pocahontas and Powhatan for this film, but what I really want to talk about is the amazing art direction done for Pocahontas. Michael Giaimo was responsible for making the characters and environments of the movie depict the overall aesthetics that would set the mood for the film. This means that he was in charge of making the characters and environments work together. 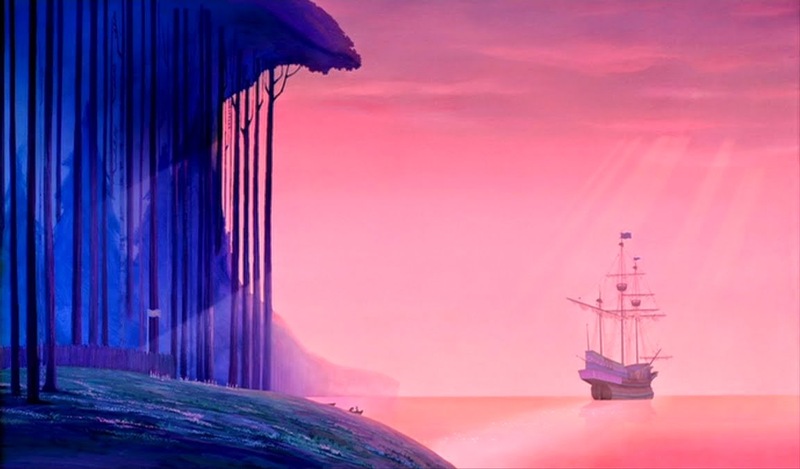 Although the movie is set in a completely different moment and place as Sleeping Beauty, if you look at both films, you'll be able to notice that they have very similar styles in terms of the backgrounds and the spaces. In art history, there was a point in which perspective was perfected, and paintings went from being completely horizontal and flat to having more volume. Well, something similar happened with Disney animated features. 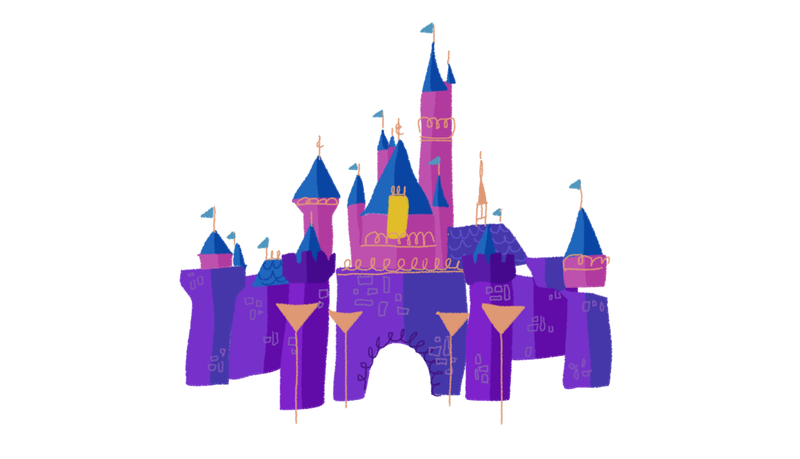 With the help of computer animation, animators at Disney were able to give their scenes more volume and very impressive camera movements. 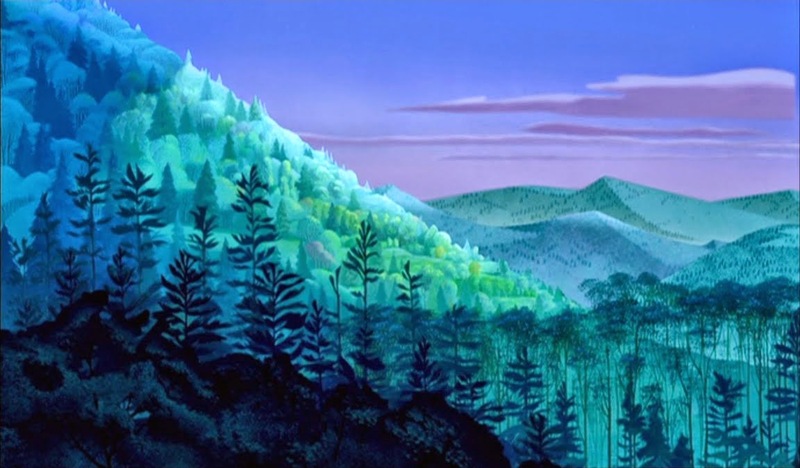 But still, in Pocahontas the art department was able to take that flat looking imagery and turn it into something amazing. The backgrounds, with amazing colours and shapes are as epic as a Tarsem Singh shot from The Fall.